R&B singer Bettye LaVette is a cult classic no more. 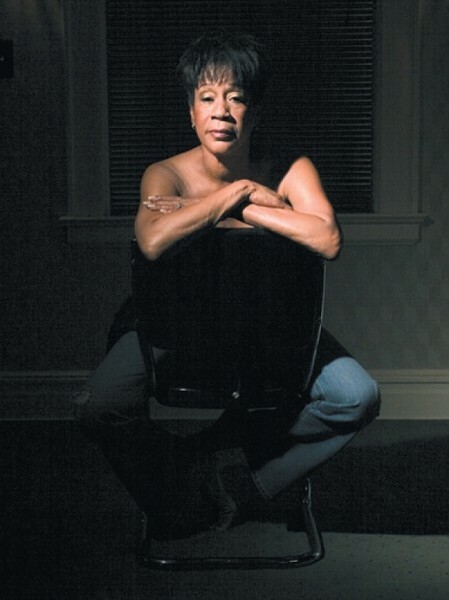 I’m holding on, baby,” says Bettye LaVette, the Great Lady of Soul, relaxing at her home in Detroit. She’s not just giving a casual, keep-on-keepin’-on reply; for some 45 years, LaVette has kept singing even when nobody seemed to be listening. By virtue of her immense talent, LaVette should be spoken of with the same awe and reverence afforded other great ladies of soul—Aretha Franklin, Tina Turner. They came up at the same time, and LaVette’s commanding voice—a raspy, visceral force; the embodiment of soul and blues—arguably could drop the Queen of Soul and the Queen of Rock & Roll a few rungs down the ladder of rock regality. Tragically, LaVette’s career is stalled thanks to the clueless suits—proto-weasels to whom magic is a card trick, not a woman whose voice perforates the fabric of time. LaVette started young, in her mid-teens, and in 1962 began releasing a string of singles including the Top 10 hit “My Man—He’s a Lovin’ Man” (later covered by Turner). She toured with Ben E. King, Otis Redding and James Brown, then in 1972 recorded her first album, Child of the Seventies. It was a victim of its own stylistic versatility. Although first and foremost a soul singer, LaVette moved nimbly between soul, blues, country, rock, and gospel, often in the same song. It freaked out A&R guy after A&R guy, each unwilling to spend their labels’ time or money on this seemingly all-over-the-map performer. Child of the Seventies was made to languish on a shelf, but LaVette kept on. She spent six years on Broadway, starring with Cab Calloway in Bubbling Brown Sugar, and continued to cut singles until 1982 when Motown released Tell Me a Lie. More singles followed, but it would be 17 years before she released another album. The usually scrappy Great Lady of Soul began to wonder if it was time to hang up her mic. In 1999, French music collector Gilles Petard licensed Child of the Seventies from Atlantic Records and released it as Souvenirs. Here, finally, LaVette began to get her due. Dutch label Munich Records released the live Let Me Down Easy in Concert in 2001, then Blues Express put out A Woman Like Me in 2003, for which LaVette received a W.C. Handy Award. Finally, Epitaph Records subsidiary Anti paired LaVette with singer-songwriter/producer Joe Henry for I’ve Got My Own Hell to Raise, a collection of songs by female songwriters, including Aimee Mann, Joan Armatrading, Fiona Apple, Roseanne Cash and Sinéad O’Connor. LaVette imbued each song with her own vibrant R&B stamp, earning rave after slobbery rave. Suddenly, after four and a half decades, Bettye LaVette had momentum—and a newly minted second Anti album Scene of the Crime, where she’s backed by the esteemed Drive-By Truckers. What does she think about better late than never?